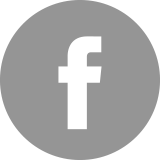 Projects that are available for bids are posted on this page. The Philipines Department of Tourism – London – is inviting qualified companies to send proposals for the development of various exciting projects. Details will be posted below. The Philippines Department of Tourism — London is inviting qualified companies to send proposals as stand contractor for the Philippine Stand at the World Travel Market 2017. Please find linked – for your guidance – the detailed Terms of Reference. The Philippines Department of Tourism — London is inviting qualified companies to send proposals as stand contractor for the Philippine Stand at the Birmingham Dive Show 2017. 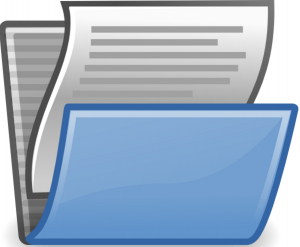 Please find linked – for your guidance – the detailed Terms of Reference. The Philippines Department of Tourism — London is inviting qualified companies to send proposals as stand contractor for the Philippine Stand at the Madrid Fusion 2017. Attached for your guidance is the detailed Terms of Reference. The Philippines Department of Tourism — London is inviting qualified companies to send proposals as stand contractor for the Philippine Pavilion at the World Travel Market 2016. Attached for your guidance is the detailed Terms of Reference. 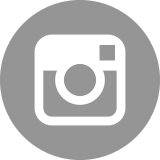 The Philippine Department of Tourism s in need of a Tourism Destination Marketing (TDM) company to act as Marketing Representative who will represent Philippines and its tourism promotions interest in the Nordic region. 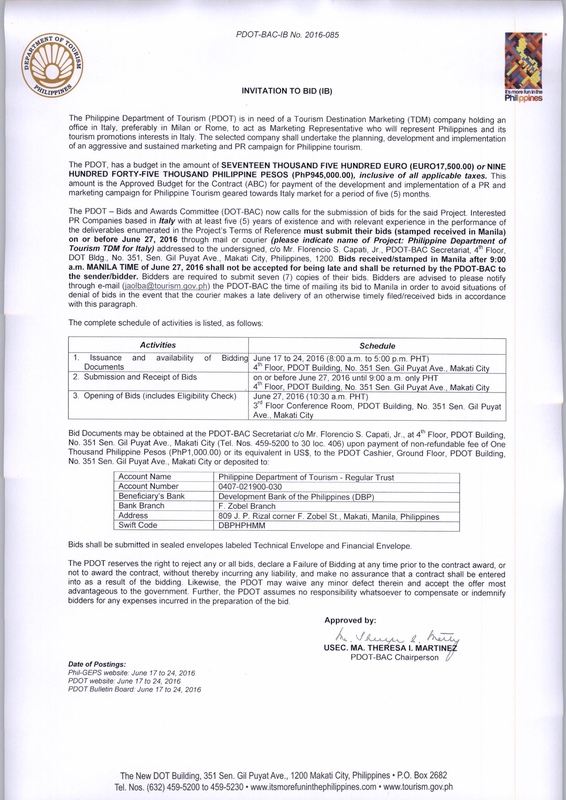 The Department of Tourism (DOT) wishes to inform that it will be procuring, through the alternative mode of Direct Contracting, the services of a United Kingdom-based Events Management Company to handle a Philippine Country Showcase Event which will be held at the Potters Fields Park in London, UK on August 12 to 15, 2016, including ingress and egress. The Philippines Department of Tourism (PDOT) is in need of a Tourism Destination Marketing (TDM) company holding an office in Italy, preferably in Milan or Rome to act as Marketing Representative who will represent Philippines and its tourism promotions interest in Italy. 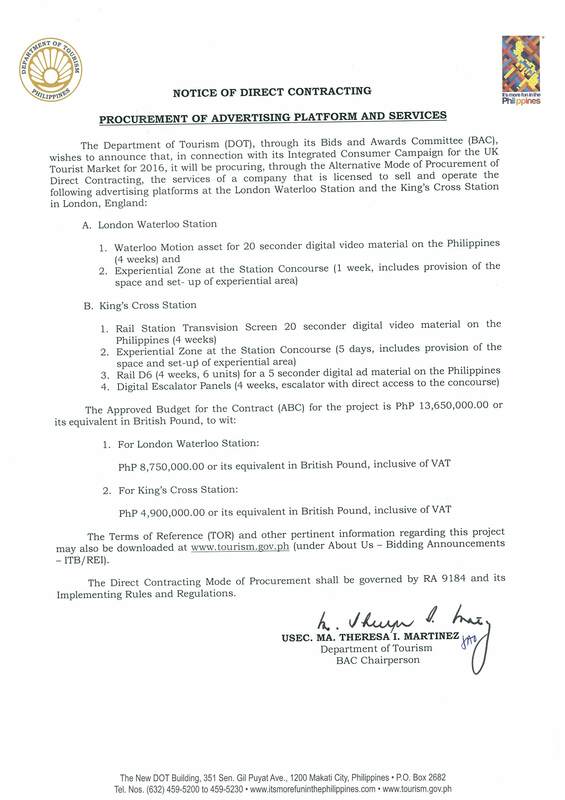 The Philippines Department of Tourism (DOT) through its Bids and Awards Commitee (BAC), wishes to announce that, in connection with its Integrated Consumer Campaign for the UK Tourist Market for 2016, it will be procuring through the Alternative Mode of Procurement of Direct Contracting, the services of a company that is licensed to sell and operate advertising platforms at the London Waterloo and the Kings Cross Station in London, England. 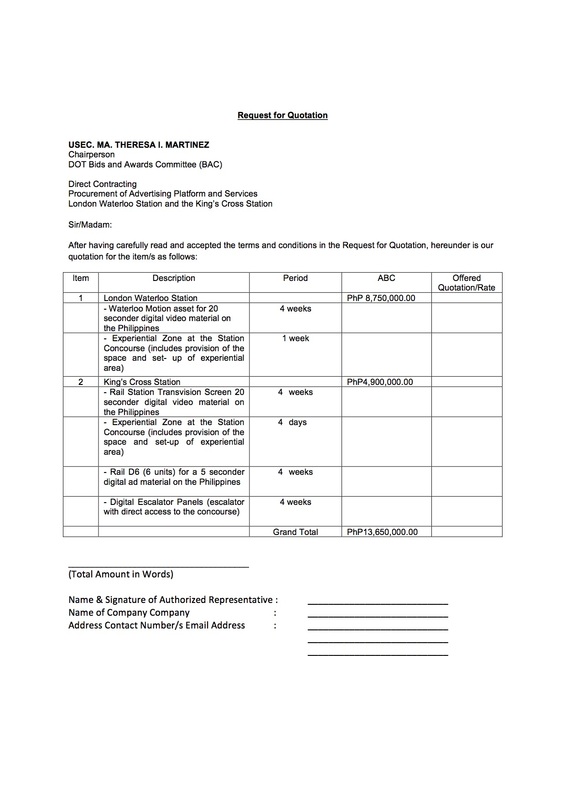 The Philippine Department of Tourism – London is inviting qualified companies to send proposals for the handling of the press trip of Portuguese media this October. Attached for your guidance is the detailed Terms of Reference. The Philippines Department of Tourism — London is inviting qualified companies to send proposals for the management of our social media campaign/integrated marketing activities for the UK market. 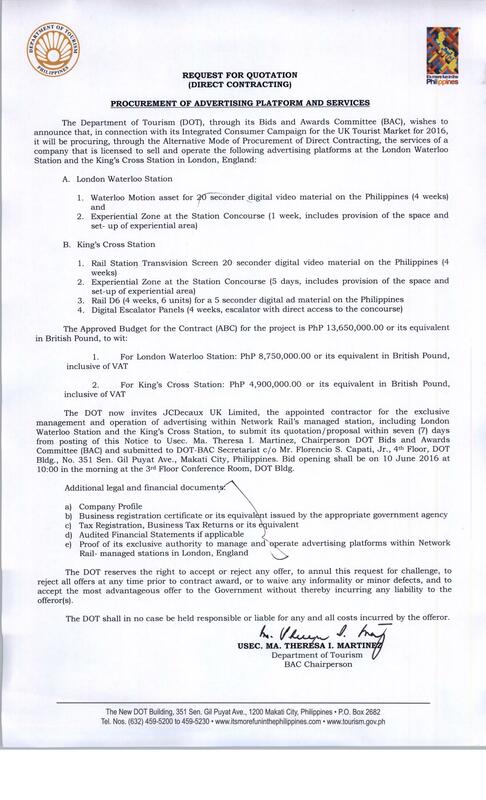 The Department of Tourism (DOT), through its Bids and Awards Commitee (BAC), wishes to announce that, in connection with its Integrated Consumer Campaign for the UK Tourist Market for 2016, it will be procuring, through the Alternative Mode of Procurement of Direct Contracting, the services of a company that is licensed to sell and operate the following advertising platforms at the London Waterloo Station and the King’s Cross Station London, England. Travel trade and consumer activities for Italy for May and June. The Philippine Department of Tourism – London is inviting qualified companies to send proposals for the travel trade and consumer activities for Italy for May and June. Travel trade and consumer activities for Nordic Market for May and June. The Philippine Department of Tourism – London is inviting qualified companies to send proposals for the travel trade and consumer activities for the Nordic Market for May and June. 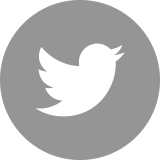 Development of a Philippines Mobile App.